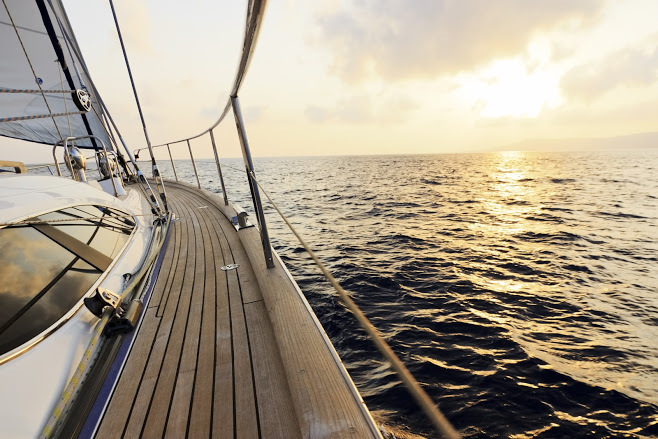 Fiberglass is a popular choice of material in many industries, including in boat construction. Compared to substrates such as wood, fiberglass has a longer lifespan and requires minimal maintenance. However, fiberglass boats do have their own set of problems. Read on to learn more about common issues that affect fiberglass boats and possible solutions. Some fiberglass boats have a wooden layer in between the outer and inner construction of the fiberglass. Delamination occurs when the middle wood breaks down or pulls away from the surrounding fiberglass substrate. Delamination usually occurs due to water pooling in the hull’s bilge for a prolonged period. Repairing delamination damage typically entails removal of the fiberglass surface to access and remove the inner wood. This process can be complex and requires the skills of a qualified technician. Blisters are small, horizontal cracks and bumps that appear on the surface of full fiberglass boats. These air-filled flaws can let in water and their size will grow as the trapped water droplets expand and contract. Blisters may occur due to collision and other forms of abuse that cause the fiberglass surface to crack and trap water. Avoid unnecessary collision and loading of heavy items onto the boat’s deck or cabin, as this can cause dings that will develop into blisters. Marine flora can pierce through the top coating and cause cracks on the fiberglass surface. Find a professional to paint your boat with an anti-fouling finish and be sure to clean the bottom of the boat regularly to mitigate costly repairs resulting from fouling. If left unattended, a small blister can quickly crack and tear away the boat’s top fiberglass surface. This occurs due to massive stress caused by frequent expansion and contraction of water. Immediate repair of a blister can prevent permanent damage to the hull, which would otherwise force you to scrap your boat. To repair a blister, your boat technician will typically need to remove the gel top coat and the fiberglass substrate. A resin is used to fill the blister and a new gel coat applied. Fiberglass boats endure several sources of stress and the hull will lose its strength due to the impact of waves and vibration. Waves cause the greatest damage and can significantly reduce the boat’s service life. Vibration mostly results from the weight of the boat dragging on the water. Fatigue is largely unavoidable, but regular maintenance can minimize the effects of wave impact and vibration on the boat’s hull. Boat hulls have a set lifespan and will need to be replaced at some point. Warping of the fiberglass cores occurs when the boat is exposed to intense heat for extended periods of time. The plastic and foam materials that make up the boat’s fiberglass substrate are especially prone to deformation when subjected to too much sun. Once deformed, the core of the fiberglass substrate will need to be replaced. Stringers are joists found under the boat deck and run parallel to the axis of the haul. Stringers serve a supportive function but are especially prone to wear and tear and need periodic maintenance. Damage to the stringers may result from bilge water, age, fatigue, and quality of the wood. Just like other marine vessels, fiberglass boats will succumb to wear and tear over time. Fortunately, these boats are not difficult to maintain and with a little care, your vessel will serve you for many years. If you are looking for a reputable boat service provider, you can trust the experts at Petzold’s Marine Center. Get in touch with us today to learn more about our services or to schedule a repair session.